Closer scrutiny of underutilized and unpublished reports shows how during the World War II the German intelligence services supported widely-held assumptions among the Nazi elite that Britain was politically and morally bankrupt, that the Soviet Union was tottering militarily and racially inferior, and that the United States’ vast economic potential was undermined by political, cultural, and racial degeneration. 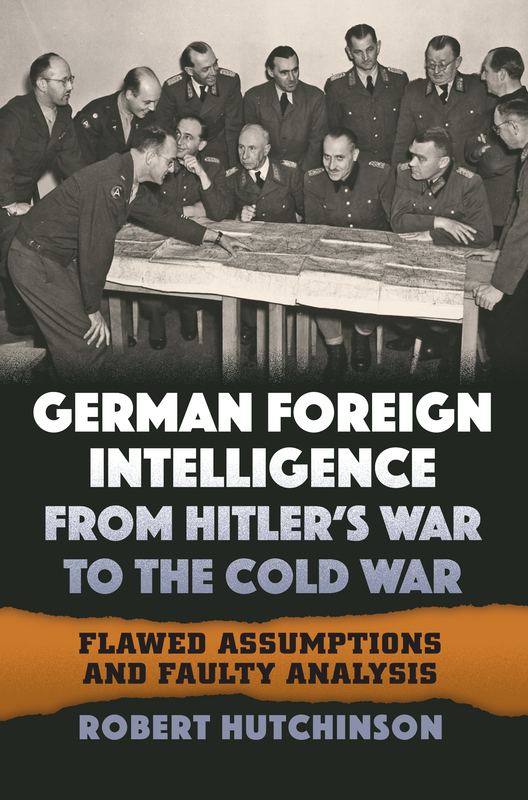 Furthermore, Hutchinson argues, these distortions continued as German intelligence veterans parlayed their supposed expertise on the Soviet Union into positions of prominence in Western intelligence in the early years of the Cold War. With its unique insights into the impact of ideology on wartime and post-war intelligence, his book raises important questions not only about how intelligence reports can influence policy decisions, but also about the subjective nature of intelligence gathering itself. Robert Hutchinson is a fellow in the Strategy and Policy Department at the U.S. Naval War College.